I met Caitie last summer when I blindly reached out to a digital marketing company in Indianapolis hoping to make a connection or two. I had no idea who I would end up connecting with (or if I'd end up connecting with anyone at all), until I got an email from Caitie saying that she'd be happy to meet. Anyway, she and her fiancé, Ryan, have known each other for nine years. NINE YEARS! 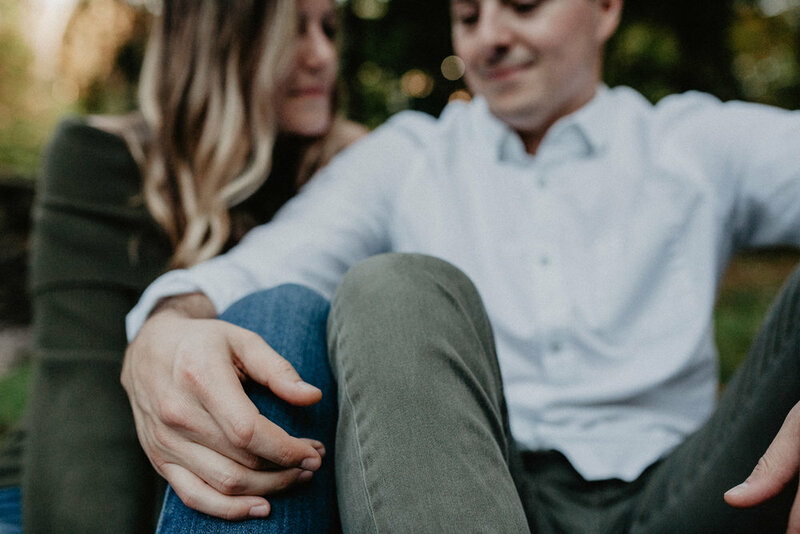 After seven years of dating and the addition of one (adorable) golden retriever, they are engaged and getting married next June. 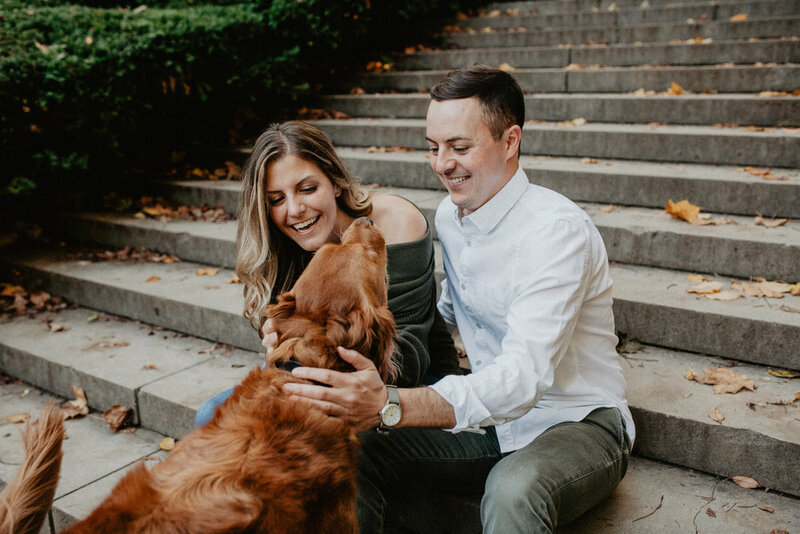 This engagement session was especially fun because 1) their golden retriever Sullivan was a part of it and 2) Isaac and I got to shoot it together! 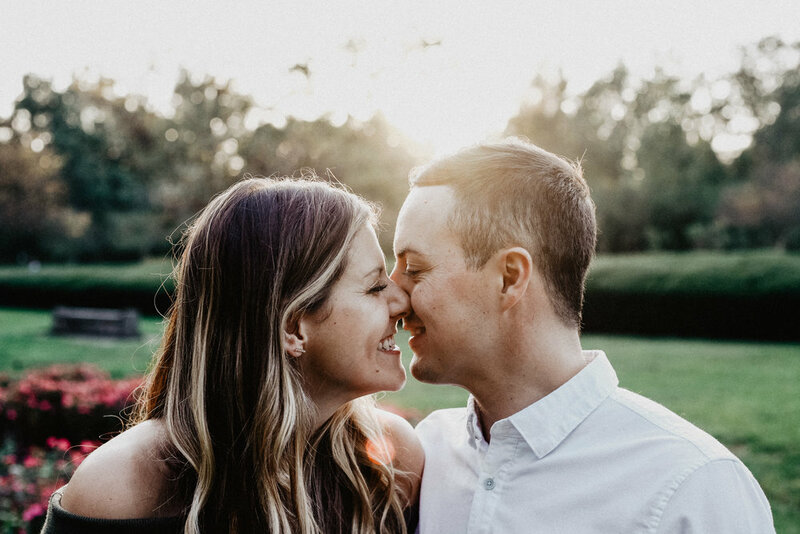 We worked so well together as a team (besides being teamed up in marriage, duh), and we loved enjoyed getting to know Caitie and Ryan throughout the session. By the end of it, I felt like we all had been friends for years. This was one of those sessions where I had a lot of trouble picking my favorite photos to share, because I truly love all of them. 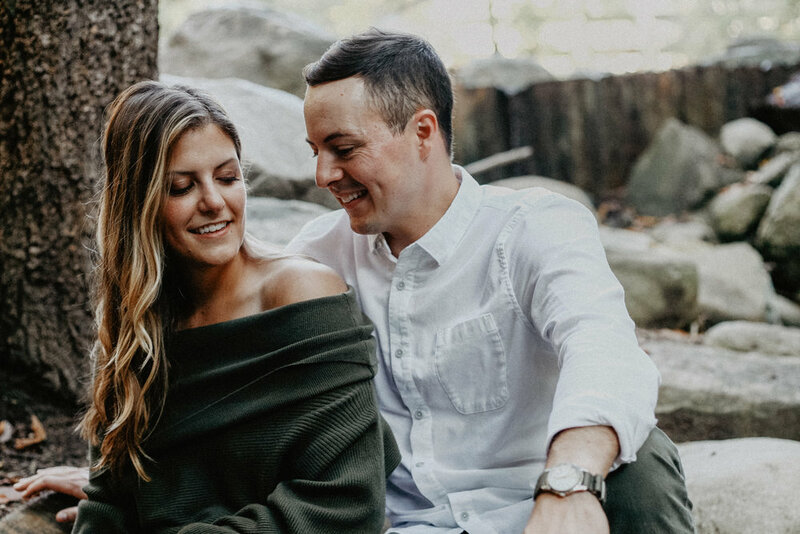 The location (Holcomb Gardens) was beautiful, the fall colors were out in full force, and Caitie and Ryan were always laughing – a winning combination in my book.